Samsung’s Android-powered smartphones come with the company’s own Samsung Internet web browser even though most users are likely to use Google Chrome by default since it’s present on all Android devices and also happens to be the most popular desktop browser. 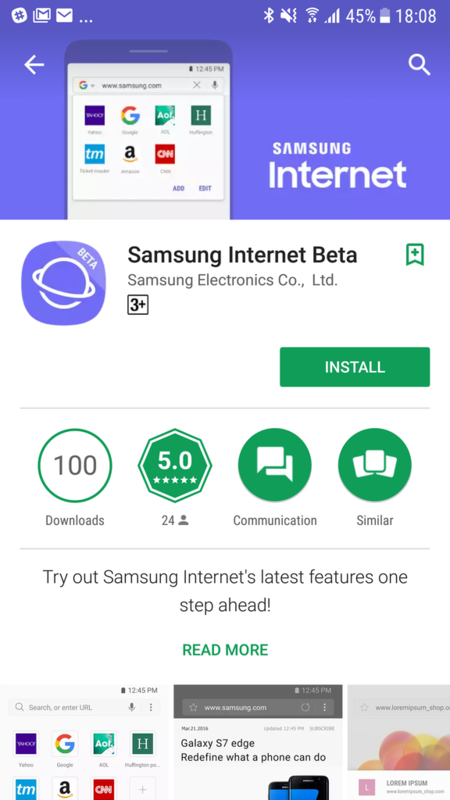 Nevertheless, Samsung continues to improve its offering, and it has now released Samsung Internet Beta on the Google Play Store to allow you to test upcoming features first. 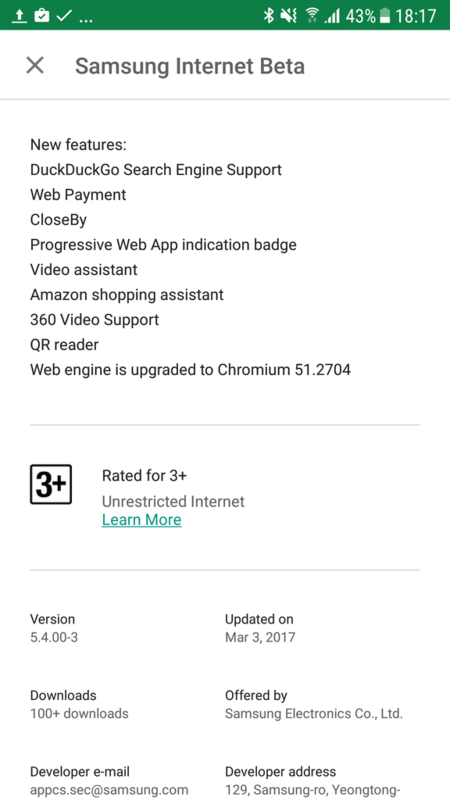 The standalone Samsung Internet Beta app will enable the company to test new features that it’s developing for its web browser with users who don’t mind using a beta app. This particular version of Samsung Internet Beta does come with a couple of new features like the CloseBy extension, but others like Video Assistant and DuckDuckGo support are already present in the stable version of Samsung Internet. Samsung will likely add more new features to the beta app in future versions. Samsung Internet Beta is now available for download from the Google Play Store. It supports all Samsung and Google handsets (Nexus and Pixel) running Android 5.0 and up. You can also download the Samsung Internet Beta app from our APK page. How to sync bookmarks from stock Sam Internet browser? Don’t understand why this beta app is not available in Play Store for all countries? What’s the point? It’s a browser, isn’t it? I like the original browser better. Only animations could be a little faster. Other than that, Samsung internet opens people trying to book same thing much much better. I selected with Samsung internet faster than my other friends with Chrome. Downloaded on my S7, Firefox bookmarks syncing does not work! Samsung again leaks itself s8 design . Open extensions and click CloseBy. Lol wtf indeed. My S7 SM-G930F is incompatible. GG Samsung/Google, whoever messed up.